Donna Black featured courtesy of KMS Records, Detroit. Still Life Keeps Moving has elements that sound very Inner city which isn’t really surprising when you look at the credits. 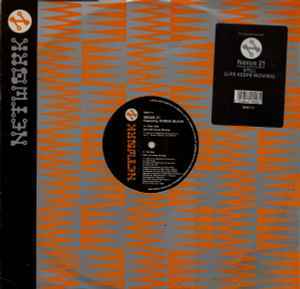 Great remix on this 12” which has quiet an energetic feel compared to the Blue Chip releases. This is driven by its percussion loops and “The Rhythm of Life” vocal hook at the start of the track, followed by a female rap, then dropping into the fantastic Detroit style synth riff and there’s some great strings dropping in and out of the track too which aren’t on the Club or Remix Blue Chip versions. Great remix giving a different vibe / energy to the track.